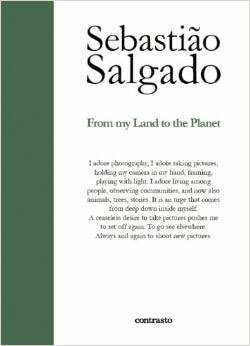 With a kindness and a disarming simplicity, Salgado rebuilds its path, exposes his beliefs, makes us sharers of his emotions. It turns out that his talent as a storyteller and the authenticity of a man who knows how to combine activism and professionalism, talent and generosity. 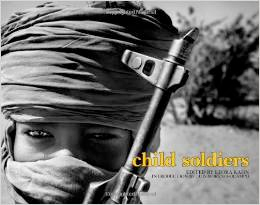 In the book the photographer tells us the story of his most famous reportages. On the occasion of Blondie’s fortieth anniversary, Chris Stein shares his iconic and mostly unpublished photographs of Debbie Harry and the cool creatures of the ’70s and ’80s New York rock scene. While a student at the School of Visual Arts, Chris Stein photographed the downtown New York scene of the early ’70s, where he met Deborah Harry and cofounded Blondie. Their blend of punk, dance, and hip-hop spawned a totally new sound, and Stein’s photographs helped establish Harry as an international fashion and music icon. 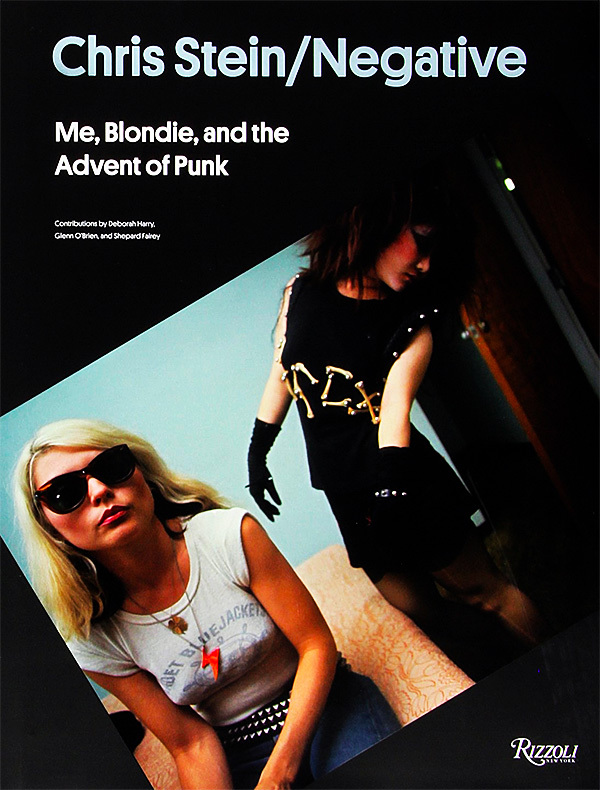 In photos and stories direct from Stein, brilliant writer of hits like "Rapture" and "Heart of Glass," this book provides a fascinating snapshot of the period before and during Blondie’s huge rise, by someone who was part of and who helped to shape the early punk music scene—at CBGB, Andy Warhol’s Factory, and early Bowery. Stars such as David Bowie, the Ramones, Joan Jett, and Iggy Pop were part of Stein’s world, as were fascinating downtown characters like Jean-Michel Basquiat, Richard Hell, Stephen Sprouse, Anya Phillips, Divine, and many others. As captured by one of its greatest artists and instigators, and designed by Shepard Fairey, this book is a must-have celebration of the new-wave and punk scene, whose influence on music and fashion is just as relevant today as it was four decades ago. From blogs to Instagram and photo-zines to contact sheets: how 43 photographers approach their work. Find out how Alec Soth constructs his projects, why Trent Parke relies on old-fashioned Polaroids and hand-made books, and how forty-one other photographers experiment with new and old technologies, turn their photo-diaries into exhibitions, and attract audiences of millions via online platforms. This book celebrates the creative processes of the modern photographic era, in which blogs and Instagram streams function alongside analog albums and contact sheets, and the traditional notebook takes the form of Polaroid studies, smartphone pictures, found photography, experimental image-making, and self-published photo-zines. 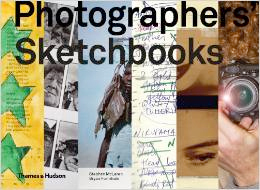 Each photographer presents his or her sketchbook: several pages of images that convey his or her working methods and thought processes. These intimate, oneoff presentations are accompanied by engaging interviews that reveal how the simple act of pressing a shutter can capture and express a fully realized personal vision. Three essays by the authors explore subjects at the cutting edge of contemporary practice. Designed to satisfy the most demanding of image junkies, this is an indispensable resource for anyone with an interest in photography or the creative process. Salt prints are the very first photographs on paper that still exist today. Made in the first twenty years of photography, they are the results of esoteric knowledge and skill. Individual, sometimes unpredictable, and ultimately magical, the chemical capacity to 'fix a shadow' on light sensitive paper, coated in silver salts, was believed to be a kind of alchemy, where nature drew its own picture. 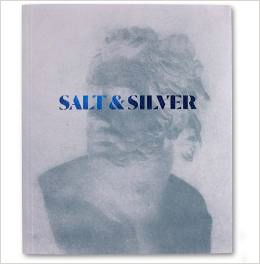 Salt and Silver brings together over 100 plates drawn from the Wilson Centre for Photography, accompanied by two roundtable discus- sions with curators, academics, historians and collectors from world renowned institutions. 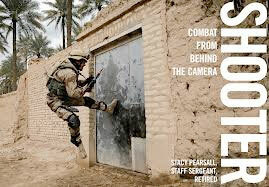 Shooter is a visual portrait of war--the perseverance, heroism, and survival--narrated through stunning photographs and powerful essays from a female combat photographer. Jeff Brouws and Wendy Burton have been collecting vernacular railroad photographs for many years, poring through disorganized boxes of snapshots at train shows and swap meets. With a keen editorial eye they have sought out the unusual, the lyrical, the pastoral, and the urban, ultimately assembling a collection that includes railroad landscapes, locomotives, bridges, and people primarily during the age of steam. This fascinating assemblage will appeal to fans of vernacular photography and rail fans alike. 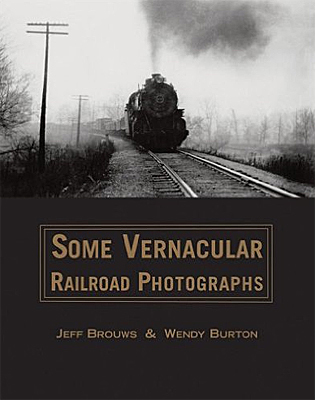 It is accompanied by an essay that includes a brief discussion of the aesthetic evolution of railroad photography in the early to mid-twentieth century and the phenomenon of the International Engine Picture Club, which acted as a clearing house and swapping mechanism for rail fans. 250 duotone photographs. 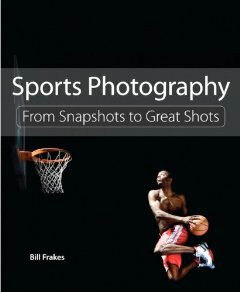 n Sports Photography: From Snapshots to Great Shots, author and sports photographer Bill Frakes shows you how to capture the key elements of sports photographs–motion and emotion, style and scene, place and purpose–whether you’re at a baseball tournament, a track meet, or a professional football game. Starting with the basics of equipment, camera settings, and exposure, Bill covers the fundamental techniques of sports photography–understanding lighting, handling composition and focus, and timing peak action. He explains how to choose a shooting position on the field of play, identify the defining moments away from the action, and learn the etiquette of covering live sporting events. He then breaks down the shooting processes of specific sports, outlining the challenges and demands of each and showing how to isolate individual athletes in action. Alfred Stieglitz (1864–1946), Edward Steichen (1879–1973), and Paul Strand (1890–1976) are among the most famous photographers of the 20th century. This handsome volume showcases for the first time the Metropolitan Museum’s extraordinarily rich holdings of works by these diverse and groundbreaking masters. A passionate advocate for photography and modern art promoted through his “Little Galleries of the Photo-Secession” (also known as “291”) and his journal Camera Work, Stieglitz was also a photographer of supreme accomplishment. Featured works by Stieglitz include portraits, landscapes, city views, and cloud studies, along with photographs from his composite portrait of Georgia O’Keeffe (selected by O’Keeffe herself for the Museum). Steichen—perhaps best known as a fashion photographer, celebrity portraitist, and MoMA curator—was Stieglitz’s man in Paris, gallery collaborator, and most talented exemplar of Photo-Secessionist photography. His three large variant prints of The Flatiron and his moonlit photographs of Rodin’s Balzac are highlighted here. Marking a pivotal moment in the course of photography, the final double issue of Camera Work (1915–17) was devoted to the young Paul Strand, whose photographs from 1915 and 1916 treated three principal themes—movement in the city, abstractions, and street portraits—and pioneered a shift from the soft-focus Pictorialist aesthetic to the straight approach and graphic power of an emerging modernism. Represented are Strand’s rare large platinum prints—most of them unique exhibition prints of images popularly known only as Camera Work photogravures. 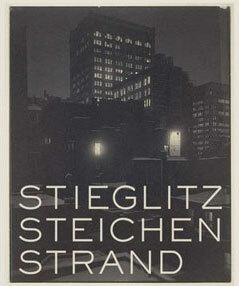 The rarely exhibited photographs gathered in Stieglitz, Steichen, Strand are among the crown jewels of the Metropolitan’s collection. Here are forty-six contemporary image-makers who are noted for their candid depictions of life on the streets and in the subways, at shopping malls and movie theaters, on beaches and in parks. Included are luminaries such as Magnum members Bruce Gilden, Martin Parr, and Alex Webb (who are still “seeing what is invisible to others,” as Robert Frank put it), along with an international group of emerging photographers whose individual biographies illuminate the stories behind their pictures of New York, Tokyo, Delhi, or Dakar. Four thought-provoking essays and a global conversation between leading street photographers explore the compelling and often controversial issues in the genre. 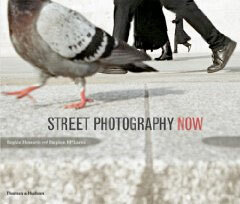 A select bibliography and a resource section for aspiring street photographers complete the book. Street photography is perhaps the best-loved and most widely known of all photographic genres, with names like Cartier-Bresson, Brassai and Doisneau familiar even to those with a fleeting knowledge of the medium. Yet what exactly is street photography? From what viewpoint does it present its subjects, and how does this viewpoint differ from that of documentary photography? 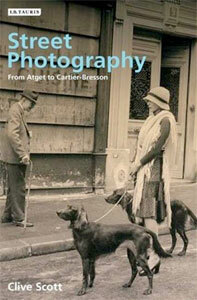 Looking closely at the work Atget, Kertesz, Bovis, Rene-Jacques, Brassai, Doisneau, Cartier- Bresson and more, this elegantly written book unpicks Parisian street photography's complex relationship with parallel literary trends -- from Baudelaire to Soupault -- as well as its more evident affinity with Impressionist art. Street Photography reveals the genre to be poetic, even "picturesque," looking not to the type but to the individual, not to the reality of the street but to its "romance." 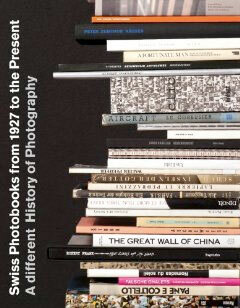 Swiss Photobooks from 1927 to the Present is the first comprehensive, trilingual, overview of the major publications that influenced Swiss photography in the 20th century. Seventy historic photographic books are introduced alongside numerous images, interpreted by expert specialists. The selected works offer a framework for a fresh look at the development of photographic styles and forms of expression, from the beginnings of modern photographic books in the 1930s to their ascendance in the present day. In-depth summaries covering the various epochs as well as a bibliography complement the chronologically laid-out essays on the individual publications.